Alternative ROMs For The HTC One: What Are Your Options? The HTC One has perhaps the best implementation of the Sense UI and a collection of great features. But what if you want to try out some other ROMs? What choices are available for Android flashers? 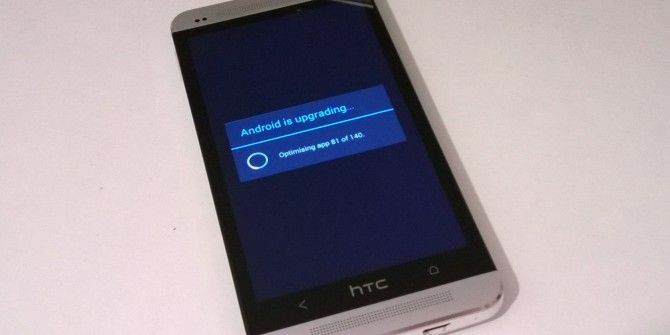 If you’re interested in flashing a new ROM on your HTC One – perhaps to get an early upgrade to the next version of Android – you would be best advised to check the XDA-Developers.com boards for the latest and best options. Also if you haven’t done so already, take the time to unlock your HTC One phone How To Root Your First Generation HTC One How To Root Your First Generation HTC One Unusually, there are no special utilities that enable this – instead, you must use HTC's approved rooting method. Read More . This can be done with the help of HTC themselves rather than relying on third party utilities. We’re going to look at some of the best alternative ROMs for the HTC One below, but first, be aware that you will need one of these ROM flashing utilities 4 Simple and Easy Tools to Flash Android ROMs Compared 4 Simple and Easy Tools to Flash Android ROMs Compared Ever wanted to flash a new ROM on your Android device but didn't have the patience to deal with the whole flashing process? I remember spending hours trying to download, transfer, reboot, flash, reboot, wait,... Read More . Spend some time checking for issues, too; some ROMs have a better success rate with a particular recovery (for instance, I couldn’t flash Android Revolution with ClockworkMod, so had to switch to TWRP). Whenever you plan to flash a ROM make sure you have downloaded everything you need for the process to run successfully, and that your phone is fully charged. 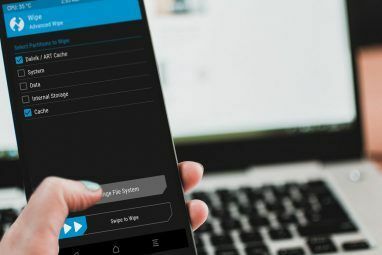 Additionally, make a backup How To Complete A Full Backup Of Your Android Phone [1.6+] How To Complete A Full Backup Of Your Android Phone [1.6+] I've been using Titanium Backup ever since I got my first Android device. I love backup applications (for PC and otherwise), and Titanium is as good as it gets. In this short introduction I’d like... Read More of your data. The following HTC One ROMs have been selected based on particular criteria. For instance, they have proven popular on the XDA-Developer.com community, are fast and efficient and all run Android 4.4 (which, of course, will enhance your HTC One). Additionally, these ROMs offer a different angle on the HTC One without ruining or drastically changing the experience. 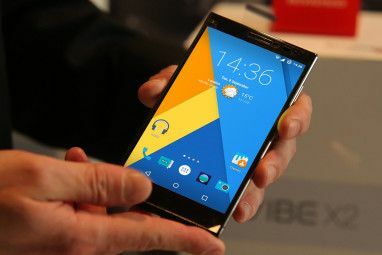 Powered by CyanogenMod, this custom ROM has strong battery life and performance and is regularly updated via the CyanogenMod repositories. Bloatware free and pre-rooted, OneDroid features the latest versions of the native and Google apps, inbuilt Flash Player and even a screen recorder. With some ROMs you might find native hardware features don’t work; this isn’t the case with OneDroid, which features working WiFi, Bluetooth, 2G/3G/LTE, sensors, camera, audio and video playback in HD. OneDroid is so popular that it has also been released on the Nexus 5. Nexus Edition 2.0 is a great alternative ROM to flash, based on the Google Play Edition of the HTC One. The developer has also added various tweaks. Featuring the Google Experience Launcher and fully up-to-date Google service apps, the aim of this ROM has been to give HTC One ROM flashers the closest Google Play Edition experience possible – useful if you weren’t fortunate enough to grab an HTC One GPE device. Note that this ROM requires NAND security to be set to S-Off. Head to XDA-Developers.com to find out more about this setting and how it can be applied. If you get bitten by the Viper, you won’t go back… This ROM is a superb enhancement to the native HTC One ROM and even includes Sense 5.5. The main bonus of using a Viper ROM is that you get to use the Viper Tweaks package, which might enable you to customize the status bar, adjust the LED colors or create custom gestures. Viper One also features a sidebar, configurable pie-style launcher and the Viper Hub which is full of new themes. 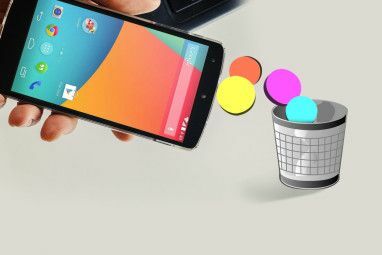 A wealth of possibilities is open the habitual Android tweaker with this ROM. Available across many different Android phone models, Android Revolution is now available for the HTC One. Adding root access and various tweaks and optimizations for improved speed and performance, this is a bloatware-free ROM that is an improvement on the already slick original ROM. Android Revolution also features support for T-Mobile US Wi-Fi calling and includes HTC Sense 5.5. Significantly you’ll also find that the Sense 5 Toolbox is also included, a collection of configurable mods that enable you to adjust the UI, changing icons, adding transparency to the status bar and other elements, etc. Android Revolution requires TWRP recovery. There are many more HTC One ROMs available for you to flash to your device. We’ve featured three of the most interesting and diverse here, but we’d really like you to tell us if you have any better suggestions. Similarly, if you’ve encountered any issues with these ROMs, let us know. I'm currently running Rev HD 6.2 and came from the sense 5.5 build, but never saw the option to regain my wifi calling ability I had from my stock Rom. Yet you say it is available, is it an addon? Slim ROM is my ROM of choice. I'm not a Sense fan, and I love the TRDS (The Real Dark Slim) feature. I've tried most of those in the article and others, but always return to Slim. I use their weekly build and it's smooth, rock solid and has everything I need. No halo (yet) but not my thing anyway. Good article. Since getting the HTC OneMax, it's the first time I have *not* felt the need to root and flash new roms. I really love the stock rom. The Viper One ROM, I've never heard it so I'm willing to try it out, as for the others....yeah I'll just keep flashing Cyanogenmod instead of those. I've been using cm11 nightlies, loving it, very stable, at least for an avg user like me. I also use nova launcher and XUI mod for customization. How could you forget InsertCoin? I didn't forget it, I omitted it. But tell us, why do you like it? Well, i got original, and i dont want to change that, for now. A good choice, Simon, it's certainly the best stock ROM I've used.